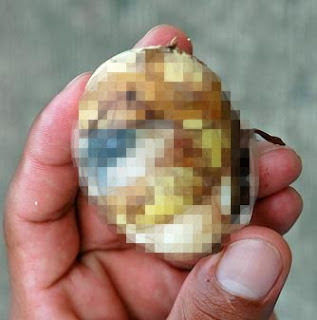 oh..now u wonder wat is this....this is call Balut.....actually inside have a darkling...philiphine foods and everyone at there like it so much....they eat with salt...why da picture is blur? ?in case u dun dare to see da little darkling....i ever ask ma friend in philiphine,Aileen,she told me it is nice....waO....u dare to eat??? 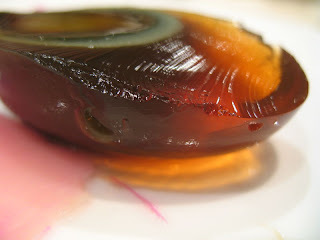 i saw a blogger posted photos of she eating duckling in vietnam...its...yuckkkk!